Enhancing Living, Home by Home. Butler Home Improvement is an industry-leading company for exterior remodeling and home improvement services! Butler Home Improvement has been serving homeowners with high-quality exterior remodeling services for over two decades. By offering a seasoned background in the industry, professional advice, and cost-efficient materials, our clients know that they can rely on us to enhance the exterior of their living spaces. 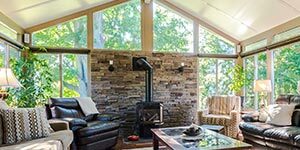 Butler Home Improvement specializes in a complete range of exterior remodeling services including adding retractable awnings, designing decks, renovating siding, implementing patio covers and enclosures, and installing windows. For more information about our exterior remodeling services, contact Butler today! Butler Home Improvement serves St Louis, St Charles, O’Fallon, Collinsville, Edwardsville, Belleville, and the surrounding areas with high-quality exterior remodeling, contact us today to get started! Exterior RemodelingSince 1996, Butler has been serving property owners throughout Missouri and Illinois with the highest level of home improvement available. Our team is proud to deliver the absolute best in exterior remodeling services, products, and installation, through The Butler Advantage and our dedication to White Glove Service. 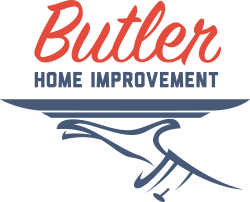 To learn more about Butler Home Improvement, or to get started on an exterior remodel project for your St Louis or Collinsville living space, contact us today!